Suda Kokuta (1906-1990) originally given the name Katsusaburo, was born in Fukiage (present day Kōnosu), Saitama Prefecture. In 1927, after finishing school at the Prefecture Koshigaya Middle School, he was encouraged by the noted Western-style painter Terauchi Manjiro (1890-1964) to become an artist and took entrance exams for the Tokyo Bijiutsu Gakko (Tokyo School of Fine Arts) without success. Committed to his path Kokuta then took drawing lessons at the Kawabata Drawing School for one year before leaving to continue studying on his own. It was at around this time that he changed his name to Kokuta. In 1930 after having had some previous success exhibiting at the Government sponsored exhibitions such as Kanten, Kokuta tried once more without success to enter the Tokyo School of Fine Arts. Despite this set-back he was not discouraged and in fact had considerable support from influential artists such as Nagahara Kōtaro (1864-1930) who recognized his talent and suggested Kokuta should go to America where his work would be better appreciated. He didn’t follow this advice but instead continued participating in various state exhibitions winning a prize at Bunten (The Japan Fine Art Exhibition) of 1936 with his painting Break Time, another special prize in 1939 at the 3rd Shin-Bunten with Man Reading A Book and again at the 5th Shin-Bunten in 1942 with Shinsho (Divine General). By the mid 1940’s, now an artist in his own right, Kokuta was involved with co-founding various artists groups such as Tenpyou-no Kai and Sin-ju Kai and in 1948 he became a member of Han Bijutsu-ka Kyōkai (Han Artists Association) a group founded by Yoshihara Jiro (1905-1972). 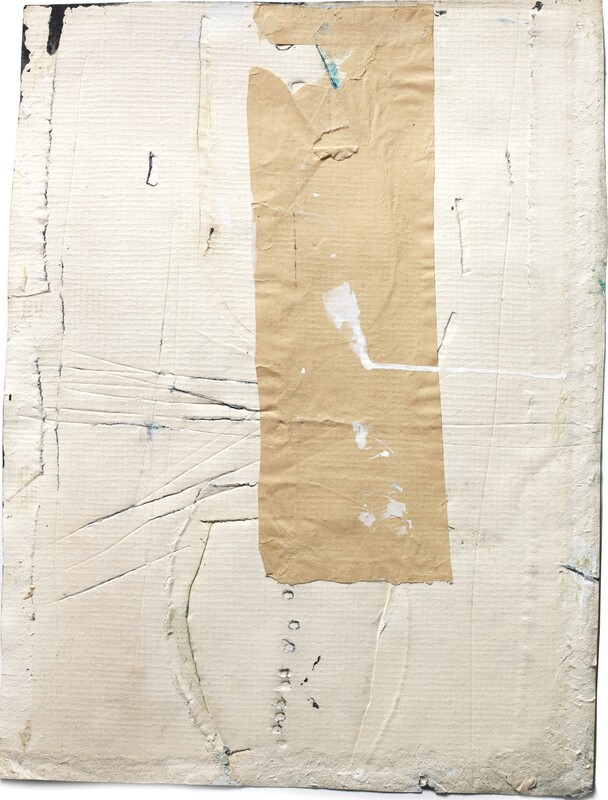 In 1949 Kokuta was introduced to abstract painting by his new acquaintance the influential avant-garde painter Hasegawa Saburo (1906-1957) a meeting which led to philosophical discussions regarding art and its spiritual connections. Subsequently, he joined the newly-founded Kokugakai (National Painting Association) and began to study works by famous Japanese philosophers and deepen his interest in Zen Buddhism. He was particularly interested in the practice of zazen (seated meditation), a discipline introduced to Japan in the 13th century by the founder of the Soto sect Dōgen (1200-1253). This was a major turning point in Kokuta’s painting transforming it from figurative to abstract expressionism. 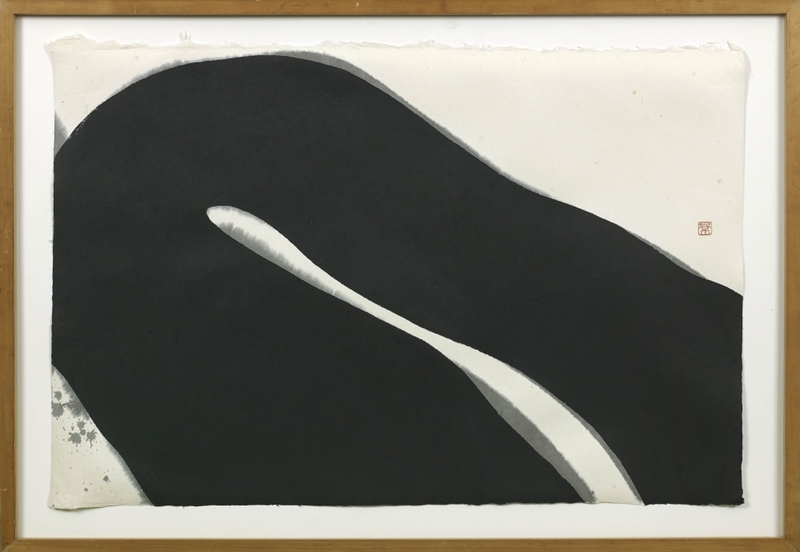 Later that year an article illustrating Kokuta’s evolution from figurative to abstract painting was published in the Bokujin journal, a magazine produced by the influential avant-garde calligraphy group Bokujinkai. Bokujin was edited by the unconventional calligrapher Inoue Yuichi (1916-1985) and served to document the group’s activities and discussions on calligraphy and modern art. 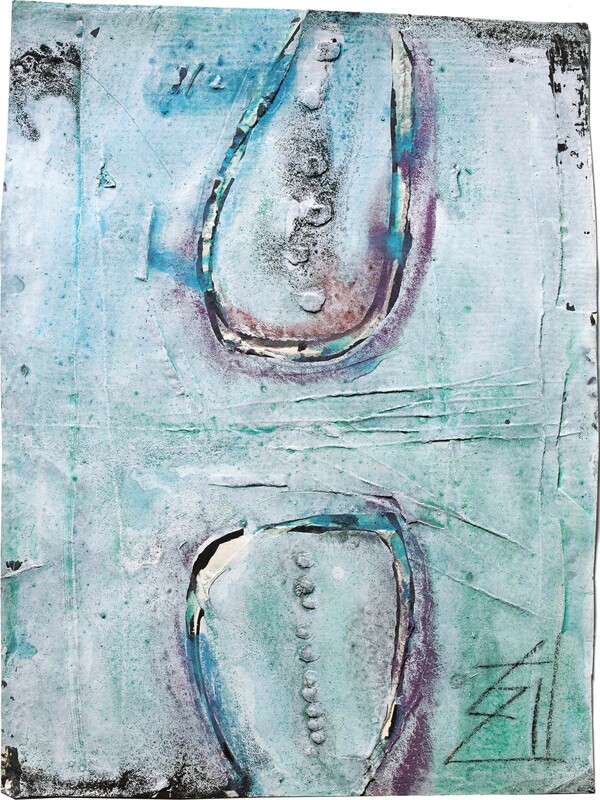 A later development born of the ideologies formulated by the Genbi discussion group was the founding of the now famous Gutai group in 1954 by Yoshihara Jiro. He extended an invitation to Kokuta to join their ranks. However, already a well-established artist in his own right Kokuta declined in favour of his own independent path. This decision was not a parting of the ways but simply two paths on the same road. In fact the following year Kokuta co-founded the Modern Art Club of the Kansai region along with Yoshihara Jiro, Yagi Kazuo (1918-1979) and Tsudaka Kazuichi (1911-1995). During the late 1950’s and 1960’s the prolific Kokuta exhibited at numerous international shows as well as becoming the head of Nishinomiya Art Association of the Nishinomiya Art Museum an association which lasted until 1982. He also went on to found the Kansai Kokuga-kai (Kansai National Painting Group) in 1966 and in 1967 he became a teacher at the Koshi-en Gakkuin College in Nishinomiya as well as designing covers for the Chosenjin magazine. In the early 1970’s Kokuta was commissioned to illustrate the pages of Kaidō wo Yuku (On the Highways), a series of travel essays written by the renowned and prize winning author Ryōtarō Shiba (1923- 1996) and published in Shūkan Asahi magazine. They travelled together for almost a decade visiting areas of historical interest in Japan, China, Korea and Mongolia as well as many parts of Europe. During these travels Kokuta’s paintings were predominantly figurative, capturing the landscapes and the character of the countries visited. However, his style and brushstrokes still retained the dynamism and confidence gained from over twenty years of abstract expression. 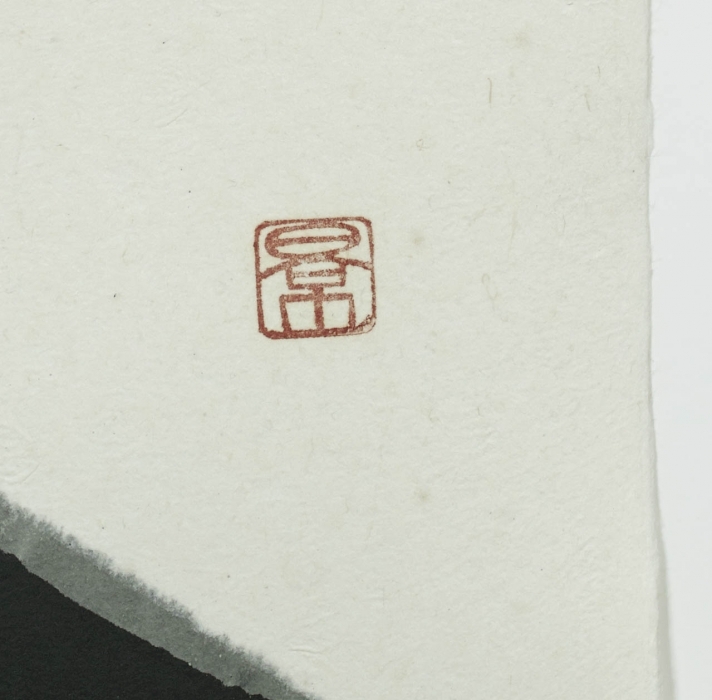 Throughout his career Kokuta was a keen calligrapher and often corresponded with the Bokujinkai member Yuichi Inoue in an on-going discussion regarding the connection between ink and brush. This interest culminated in the 1980’s when he devoted more of his attention to creating strong and unconventional calligraphic works featuring Buddhist dictums. These pieces had a painterly quality bearing his instantly identifiable thick, powerful brushstrokes executed with an unavoidable directness. In 1985, five years before his death, Kokuta published a philosophical volume entitled Watakushi no zokei: Gendai Bijutsu (My Shaping: Modern Art). The book is a retrospective compilation of articles he had written and published throughout his career regarding various art forms both oriental and occidental and the influences they had had on him and his work. Some of the last works created by Kokuta are an amalgamation of calligraphy, painting and Buddhist symbolism using classic images such as the ensō (circle) representing enlightenment, the Universe and the void as well as the ichi (one) which refers to the term ichi-go ichi-e (lit. one time, one meeting), a reference to the transience of life and one’s inability to repeat any given moment. SKU: 7440. Categories: modern/post-war, Paintings.